Overview of the damage done at the Exeter ball park. Deep ruts were cut in the new grass area. 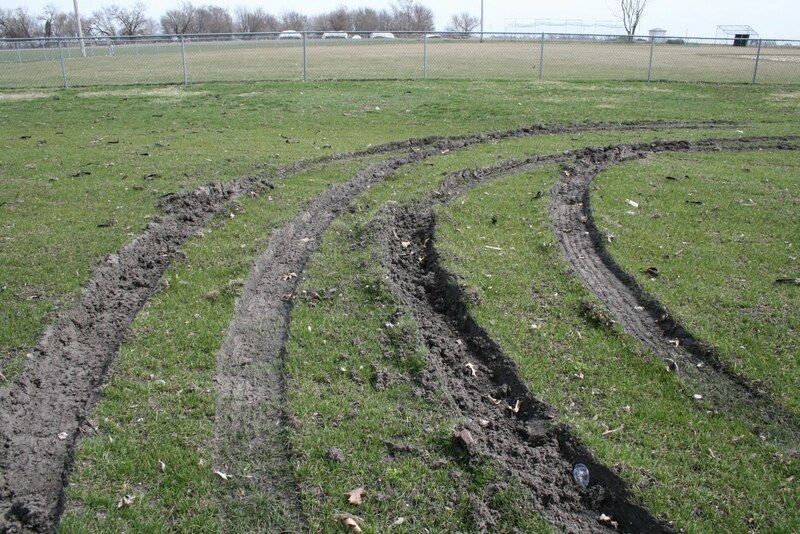 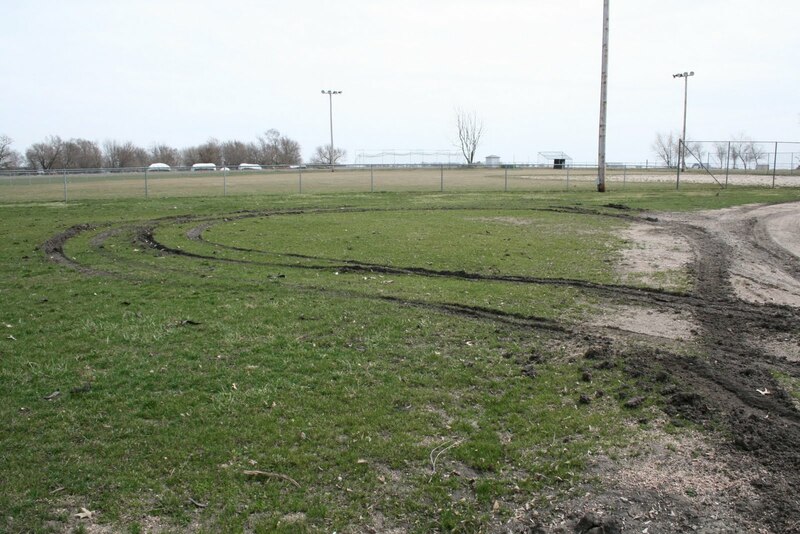 Saturday night a late model pick was spotted in the area of the ball park and a neighborhood resident witnessed the pickup driving on the new grass that was planted last fall and doing the damage shown in the pictures. 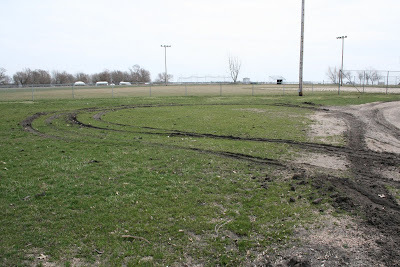 If you have any information on the driver of the pick up please contact the Village Marshall or the Village office. 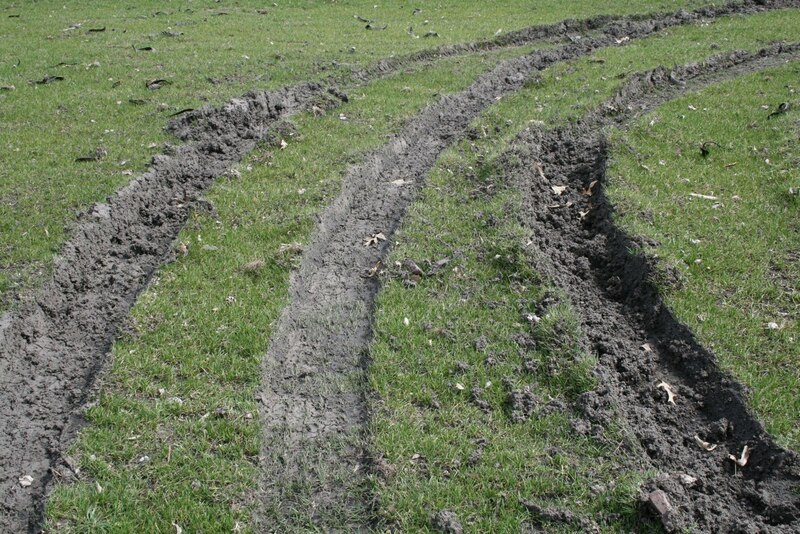 So sad to see these things happen when so many other people try to get things done and one person can ruin it in a second.